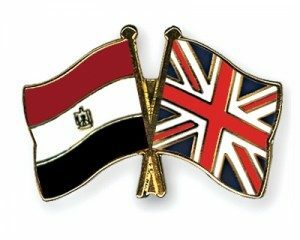 The Egyptian national applying for the Tier 1 Entrepreneur Visa would be in a potential route to permanent settlement in the UK and can even be used for spouses and dependants accompanying the main applicant. Unmarried partners or any dependent children are also entitled to enter the UK and receive education, and healthcare, as well as seek employment within the UK. However, the main applicant i.e main Egyptian national is not allowed to take employment, and will have to be either a director of a business or self-employed in the UK. There are certain other documnets needed in order to satisfy the requirements for applying under this category. Please contact one of our advisers at Imperial Visas for further information on this category: +44 (0) 20 3627 4777. Maintenance Funds – All applicants are required to score the full 10 points in this section by providing evidence which confirms that they have sufficient money to properly look after themselves and any dependants whilst in the UK. It is necessary to provide evidence that a specific amount of money has been held for at least 3 months prior to the date of making the application (which may be an initial or extension application). Please note that the applicant must hold these maintenance funds in addition to the £200,000 that is intended for investment purposes into the business. Please note that third party funding is only allowed to make up the £200,000 to invest in the UK business. The Egyptian national must have their own money to score points under the maintenance section. If the applicant is applying for leave to remain, these funds must be held in the UK. Egyptian national’s can also apply in an entrepreneurial team of two people, but each must have equal access to the investment funds they are planning to invest. They can apply at the same time for the Tier 1 Entrepreneur visa using the same level of funds (i.e. £200K funded by one of the above-mentioned establishments in the source of funds section). Each applicant will still need to pass the language and maintenance requirements individually in order to be successful. You will need to score a total of 95 points, which includes mandatory 10 points for English Language and 10 points for maintenance. The extension will be granted for a period of 2 years leading to indefinite leave to remain. 20 Points – These points will be awarded to you on the basis that you have registered yourself as self-employed or a director of a business in the UK within 6 months from date of grant of your initial approval. 20 points – Are awarded to you if you have created 2 full-time jobs for persons settled in the UK. The employees need to be working for at least 30 hours each and must have been engaged in employment over the 3-year period of initial grant for a total of 1 year. Additionally, you need to score 10 points for English and 10 points for Maintenance requirement. First-time applicants will be given 3 years and 4 months’ stay whether they apply for entry clearance or switch from another immigration category inside the UK. Those who are already on a Tier 1 Entrepreneur visa will be granted an extension for 2 years which enables them to complete five years’ residence in the UK; they will therefore be able to apply for Indefinite Leave to Remain. All other applicants will be granted an extension of 3 years in the UK. The requirements relating to naturalisation applications have not been affected and even if an applicant obtains ILR upon completing three years’ residence, they would still be required to wait for another 2 years and comply with the residence and other requirements in order to make an application for naturalisation. Those who have completed a total of five years in a combination of a Business Person visa, an Innovator visa or a Tier 1 Entrepreneur visa will be able to apply for Indefinite Leave to Remain 28 days before completing their five years.